Austal has landed a $97 million contract from the Government of the Republic of Trinidad and Tobago to design and build a 94-metre high speed vehicle and passenger catamaran. 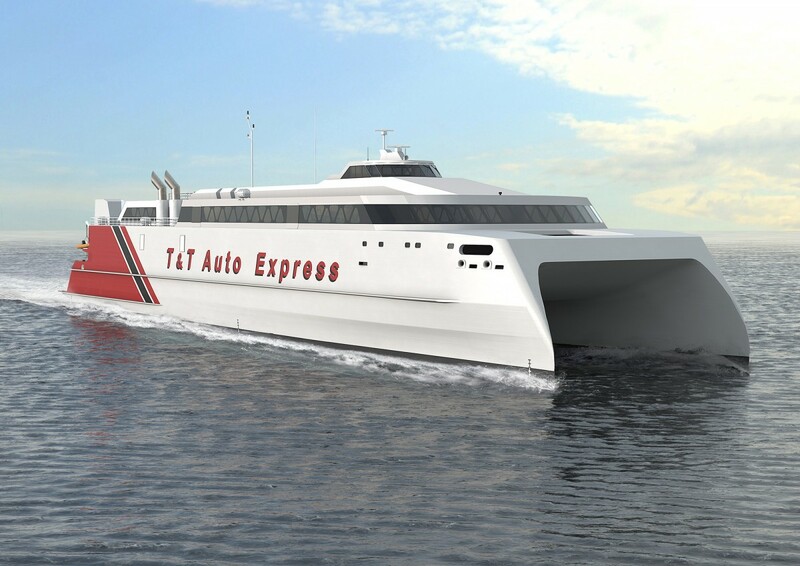 Designed to carry 926 passengers and 250 cars at speeds of 37.5 knots, the ship will provide high speed operations on the key sea bridge between the islands of Trinidad and Tobago. It will feature Austal’s newly developed innovation in smart ship technology, MarineLink Smart, as many of the design features incorporated into the company’s class leading 109metre AutoExpress ships. Austal CEO, David Singleton said the 94m AutoExpress ship design is already well advanced which has allowed initial construction to commence. “The development of the new AutoExpress design was initiated in early 2016 and has proven to be a great success which has now resulted in ship contracts worth approximately AU$300 million,” Mr Singleton explained. Austal Vice President of Sales and Marketing, Ben Marland, said the vessel will be built at Austal’s new shipyard in Vung Tau which is supported by the company’s extensive global supply chain featuring more than 1,100 Australian SME’s. “Since late 2016, I have been remarking on the strength of the international high speed aluminium ferry market, which has already delivered a record future order book for Austal,” Mr Marland continued.